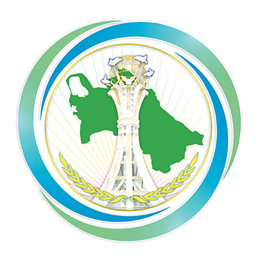 Attestation of the document at the Embassy of Turkmenistan lies in the authentication of the authorized officer’s signature and the seal of the Ministry of Foreign Affairs and International Cooperation of the United Arab Emirates. Therefore document should contain signature of authorized officer and stamp of the UAE MOFAIC. See the sample. Document, along with its copy, should be submitted within three month period from the date of UAE MOFAIC stamp. To submit document, please, take an appointment. Attestation fee: attestation fee is 50 USD per document. Time-limit: up to three working days (from day of submission). In most of the cases from the practice documents are ready for collection in the afternoon on the same day. Payment: fees can be paid by bank transfer to the Embassy account. In this case, transaction notification should be submitted along with documents. Otherwise, at the Embassy one will be provided with NBAD foreign currency deposit slip to deposit an amount at any NBAD Branch. Note. Document might be declined for attestation in case of contradiction to the National legislation of Turkmenistan; regardless it consists of UAE MOFAIC signature and stamp.